Learn traditional Czech toy-making and dine at one of the neighborhood's most delightful family-run businesses. Spend a morning in Long Island City exploring two of the areas most distinctive neighborhood family-run businesses. You'll learn the age-old craft of wooden toy-making from a local master and enjoy the scrumptious offerings from one of the neighborhood's long-standing institutions. We'll meet at Slovak-Czech Varieties, a small shop with a big inventory! 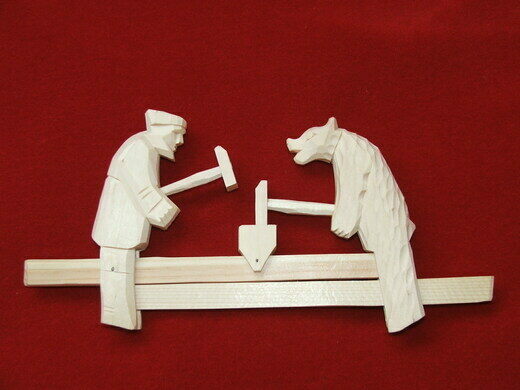 Imported grocery items, home-cured bacon, Czech magazines--and handmade wooden toys designed and manufactured in the back of the shop by owner Milan Uherik. An industrial engineer and the son and grandson of metal and woodworkers, Milan started making the toys using wood rescued from the Hunter's Point playground Linden trees blown down by Hurricane Sandy. The workshop will begin in the back of the shop with a short demonstration of how Milan designs and cuts the pieces. Then we'll move to Manducatis Rustica (a short walk up Vernon Boulevard) where Milan will guide us in assembling and painting an original toy. Pizza and non-alcoholic beverages will be provided by Manducatis Rustica. The restaurant and cafe, run by chef Gianna Cerbone, dates to 1977. Vincenzo and Ida Cerbone opened the family business with pots from her wedding shower and Gianna's food is the best in famly-inspired contemporary Italian. 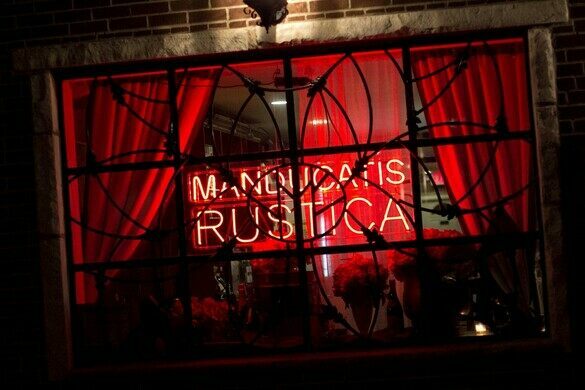 You'll leave with a finished toy and a desire to return to Manducatis Rustica at the earliest opportunity. All ages welcome! Meet at Slovak-Czech Varieties store at 10-59 Jackson Ave., Long Island City, New York 11101. Subway: 7 train, get off at Vernon - Jackson Ave and go to Jackson Ave exit. We are located next to the Chase Manhattan Bank. G train, get off at 21st Ave, walk on Jackson Avenue towards the Pulaski Bridge (i.e. Manhattan skyline and Brooklyn).